A protective father and husband has been ordered to pay £595 after he damaged two cars during a neighbourhood dispute. 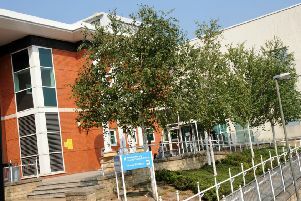 Chesterfield magistrates’ court heard on January 15 how Brett Bondzulic, 42, of Boythorpe Crescent, Boythorpe, Chesterfield, damaged a Toyota Starlet and a Saab after his neighbour had allegedly placed a sharp object through a fence onto his property. Bondzulic claimed the neighbour appeared to throw a big piece of wood over the fence with the defendant’s wife and son standing nearby at a conservatory window which is why he got upset. District Judge Andrew Davison said there was bad blood between the neighbours and explained that the defendant claimed this was from the other party but the judge accepted that the other party would no doubt say the opposite. Bondzulic, who has no previous convictions, pleaded guilty to two counts of criminal damage after the incident on October 5. He said it was an unfortunate incident because he thought his wife and my two year-old were in danger. Prosecuting solicitor Sarah Haslam told the court there was a compensation claim for £1,800 of damage to the Starlet but this vehicle already had flat tyres, missing seats and appeared to be a write-off. She added that an additional £570 compensation claim to the Saab was also disputed after the defendant claimed he had only caused a small dint in its boot. Mrs Haslam said that police confirmed the Starlet was not insured and had no engine in it at the time of the offence and the dint to the Saab boot is relatively small. District Judge Davison said he could see how the situation had blown-up and he could see fault from both sides but unfortunately the defendant had caused damage. Bondzulic was fined £180 and was ordered to pay £300 compensation, £85 costs and a £30 victim surcharge.